Florida Sliding and Garage Door Repair is a local residential and commercial garage and sliding glass door repair company. We strive to provide the highest quality of customer service with the best parts, equipment, technology, and warranties on the market. 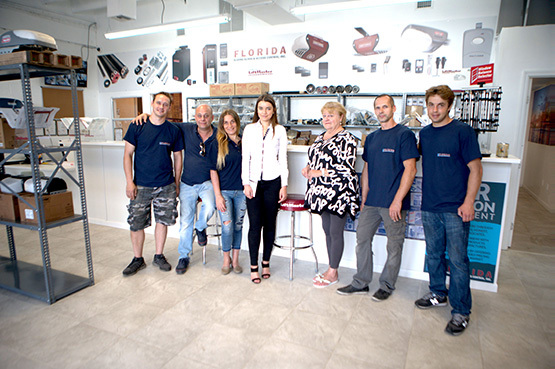 We have been serving the Palm Beach, Broward and Miami-Dade area for more than 8 years, and with multiple locations, we are proud to offer consistent, affordable, and unparalleled service to all of South Florida. We continually train our dispatch staff and our technicians on the newest developments that hit the market, so that they arrive on time and prepared to fix any door situation – big or too small. For all non-emergency service, we provide a free, onsite written estimate for you to review on your own time. All of our service technicians are local, so they can beat the SoFlo traffic and get to you FAST. With local technicians serving the tri-county area, we can often offer same-day service for repair & estimates. Get peace of mind with manufacturer warranties plus our own guarantee on all installations & repairs. We accept cash, check and all major credit cards for your convenience. Ask about financing for large jobs. We’re more than just a garage door company! 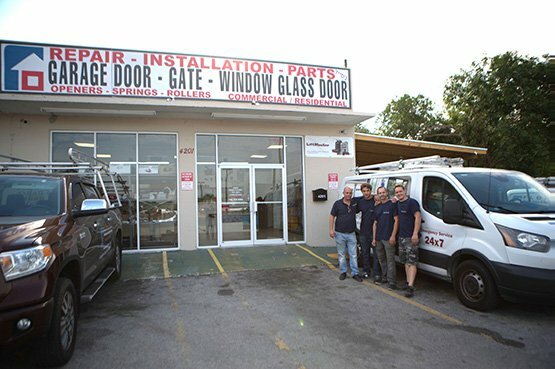 Our expertise extends to steel rollup doors, automatic swinging and sliding gates, and all types of sliding doors, including glass patio doors and even interior folding closet doors. If you're a local garage door professional with a desire to own your own business, we'd love to hear from you! Our franchise locations are what allow us to offer the 24/7 and same-day service that our customers depend on us for. We provide all of the training, marketing and support you need to launch a successful garage door repair company, and you provide South Florida customers with local service from a name they trust. Visit our Franchise Opportunities page to learn more, download your free guide, and contact us for more information.